Spring comes at least a month early in central Texas. 1. Mow low and bag your clippings. To help your grass grow back healthy and strong, you can switch your lawnmower to a lower setting and deep-cut your grass for one time only. This is also called “scalping.” If you bag the clippings, your newly trimmed grass will have room to breathe and absorb sunshine and nutrients. 2. Aerate and topdress with compost. For your lawn, Emerald Lawns recommends yearly aerations. This draws short plugs from your lawn, loosening your soil to allow more air, water, and nutrients to feed your grassroots. By aerating before the Texas heat arrives, you can avoid having the tiny holes become spaces for weeds. We also recommend topdressing your lawn at least once every couple of years. Emerald Lawns uses a mixture of turkey compost and graphite sand for topdressing. This feeds your grass roots with vital nutrients to jump-start growth. Many homeowners opt to have their lawns aerated and top-dressed with compost at the same time, taking advantage of double benefits. For homes with Bermuda or Buffalo grass, pre-emergents can build a barrier in your soil against new seed germination. This helps your lawn build up resistance to new weed growth. Rake up debris from the dormant season, such as fallen leaves and sticks. This clears your grass to receive the benefits of regular watering, mowing, and airflow. Be sure your sprinkler system is in working order. If you need help getting your sprinklers in shape, Emerald Lawns can recommend a sprinkler maintenance or installation company. Water your lawn about 1 inch every five to seven days during spring growth. You can test the water height by using small containers, such as empty tuna cans, to measure volume. Water in the early morning, so that less water is lost to evaporation. 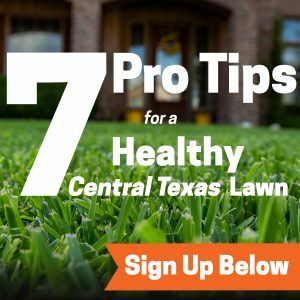 For more lawn care help, call the Emerald Lawns office (located in central Texas) at 512-990-2199. Or request a free estimate using our website. We’re glad to provide advice and services to help you grow a lush, beautiful green lawn this spring and beyond.